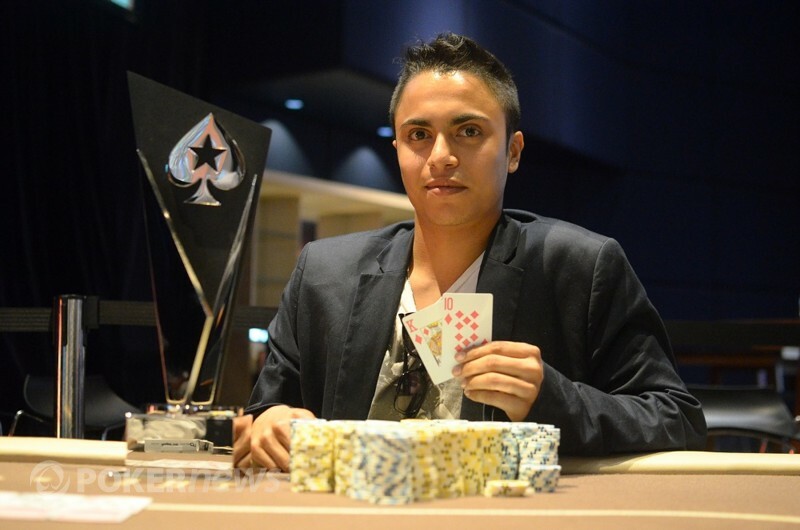 After four days of poker, a winner has been crowned in the 2013 PokerStars.net ANZPT Season 5 Sydney Main Event. The tournament started with 460 runners, and 22 returned for the final day of play. A grueling 13-hour day would see the field dwindled down to just one, as Dinesh Alt would become the next champion on the ANZPT. Alt overcame all odds to finish as the champion and collect AUD$226,300 for his efforts. He had to outlast a field of notable players including Trung Tran, Amanda De Cesare, Sam Khouiss, Iori Yogo, Ben Gilholme, Dan Kelly, Gary Benson and finally Dejan Divkovic. Most of the talk, however, would be about Divkovic who finished second behind Alt. He’ll always be remembered as the guy who almost won back-to-back ANZPT titles. He is now a clear frontrunner to take the ANZPT Player of the Year title. In the final hand of the morning, Dejan Divkovic committed his 800,000 in chips from the button and was called by Dinesh Alt. The board ran out to see both players miss, but Alt’s king-high holding on for victory. An with that, Dinesh Alt is the champion of ANZPT Sydney! A great run from Divkovic, who less than a month ago, was crowned champion at ANZPT Perth. An astonishing performance that has never been matched in the history of the tour. Dinesh Alt raised to 500,000 from the button, and Dejan Divkovic opted to commit his remaining chips into the middle. The board ran out to see Divcokic hit his six to stay alive in the tournament. The hand started with Dejan Divkovic min-raising from the button and getting called by Dinesh Alt. The flop came down as both players checked their options. A fell on the turn as Alt checked over to Divkovic who put in a continuation bet which was called. The river produced the and again Alt checked. Divkovic bet out 230,000 in chips, before Alt pushed out a raise to 500,000. Divkovic didn’t stop there, as he slid out a re-raise to 1,100,000 in chips. After a minutes pause, Alt moved all in which upset Divkovic. He eventually made the call, as Alt did his customary slow-roll reveal, tabling for the straight. Divkovic could only shake his head, as his was tabled. Chips are almost dead-even after Dinesh Alt just won back some chips. The hand started with Alt opening to 100,000 in chips, before Dejan DIvkovic came over the top, with a raise to 300,000 in chips. Alt called as both saw the flop come down . Divkovic check-called a 500,000 bet, as the fell on the turn. Both players checked to see the complete the board. Divkovic bet out 560,000 almost instantly, and after a minute of deliberation, Alt made the call. Alt casually rolled over for two-pair as he scooped in the large pot. The chip lead has changed in favour of Dejan Divkovic after a recent hand. Dinesh Alt opened to 250,000 in chips, before being met with a re-raise to 550,000. He made the call, as both players saw the flop come . Divkovic made a continuation bet of 285,000 in chips, which Alt called. The fell on the turn as Divkovic checked his option. Alt decided to make the move and go all-in, but was called instantly by Divkovic who tabled . Alt tabled his and was drawing dead. The meaningless river fell as Divkovic regained the chip lead. On Friday, March 29 at 11 a.m. ET, the DeepStacks Poker Tour Patriot Poker Classic Main Event at Mohegan Sun kicks off. The $1,500 unlimited re-entry event boasts a $200,000 guarantee, and the live stream will be hosted right here on PokerNews for our global viewing audience. We expect plenty of big names in attendance along with a stout conglomerate of local players. DeepStacks Pros Michael "The Grinder" Mizrachi, Tristan "Cre8ive" Wade and Mike "The Mouth" Matusow have been confirmed as hosts for the event. Dinesh Alt flatted from the button, before facing an all-in call from Dejan Divkovic. He snap called, and both players tabled their cards. Divkovic was able to spike a queen on the flop as the board ran out to see him stay alive in the tournament. Both players limped pre-flop to see the flop come . They checked once more as the turn brought the . Dejan Divkovic led out for 100,000 before being met with a raise to 250,000 in chips. He called as the river dropped the . Divkovic checked his option, as Alt comfortably bet out 500,000 in chips. He ended up calling, but mucked as soon as Alt tabled his .